2) They are taught by the Spirit World itself, the trees, the water, ancestors, animal guides…even the ‘ghosts’ of shamans who have passed on to the Spirit World. Many types of training are a step by step ‘teaching’, laying out the exact path or way for the student to travel. However, in the realm of Full Circle Shamanic Training, it is ultimately the person’s Spirit Helpers who teach her or him what, when, and how to shamanize. Quynn has been taught in this way. Her Spirit World has guided her each step along her path and shown her what she needs to do. There is an important role for human teachers, however, which is to ‘turn people on’ to new ideas, share ahah! moments and help them connect the dots. A Tour Guide of the Soul and Inner Wilderness is sometimes needed when the initiate is unfamiliar with the territory. This is Quynn’s role now. 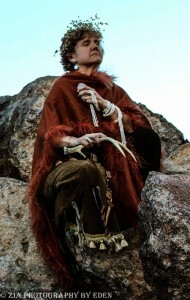 She sets up these situations and sacred places (called “Trainings”) for people to practice, ask within, and connect with others of like mind and heart, as they travel along their shamanic path. ”All People, of all ethnic backgrounds, have ancestors who, at one point in the past, knew the ways of Earth and understood the ways of Magic. Each person has these ancestors in their DNA, and you can call upon these ancestors and ask them to whisper to you, to tell you what to do in these times.” Told to Quynn by a Rock Grandfather in 2000. 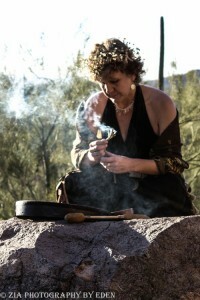 Shamanic Training series with Quynn Elizabeth Red Mountain assist you as you hone your ability to listen to the worlds within and around over a period of time (series times vary). This deepening process leads to you being able to share your abilities with others in a sacred way. Whether or not you feel called to be a Shamanic Practitioner, you can use Shamanic Practitioning Techniques in your Life and Healing Practice. One Saturday each month for 7 meetings. Saturdays October 1, November 5, December 3, January 14 2017, February 18, March 18, April 15 11am-5:30pm. Participation in all sessions is expected.